Although a technically aware client, Manchester City Council (MCC) had little experience of Building Information Modelling (BIM) at the start of its refurbishment of the city’s town hall complex. 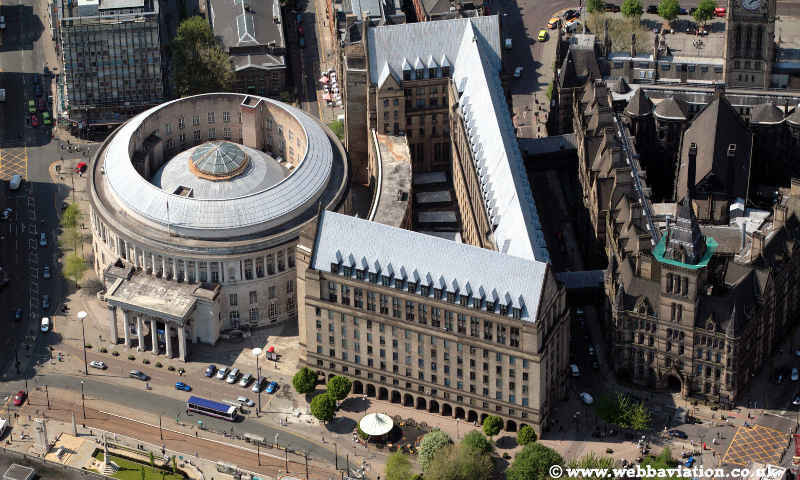 At the heart of the city, the town hall extension and central library are grade II* listed buildings of national significance, among the best examples of the architecture of their period; innovative, sophisticated and constructed to high standards. The public spaces of Albert Square and St Peter’s Square provide the setting for these important civic buildings, as well as a number of key developments proposed in the vicinity. Begun in September 2010 and completed in March 2014, the project, involved the redesign of the town hall extension and central library, and was allocated a budget of £100m. MCC had considered using BIM as far back as 2006 on the Building Schools for the Future projects, and BIM has been used on a number of capital projects to improve stakeholder engagement and design development, and BIM was considered at the start of the town hall project. However, it was not included within the contractual documentation. By the time Ryder Architecture won the contract to redesign the central library, the council had made a commitment to use BIM on all its projects. Winning the commission in 2009, Manchester central library represented the most significant refurbishment that Ryder had undertaken to date. “When we were appointed for the library project, our experience as one of the first adopters of BIM technology allowed us to help MCC seize the opportunity to improve its whole approach to asset and facilities management. Over the past three years we have worked together to the point where the library and town hall is regarded as an exemplar project in this field. We are delighted to have been part of the process.” Ian Kennedy, Director. Ryder held early discussions with MCC to explain the benefits that BIM could bring to their estate management. 3D survey information was initially commissioned, and further refined where required, with localised detailed analysis of existing building geometry and intrusive surveys as the project scope and requirements progressed. The project team established a collocated office to promote a One Team ethos. 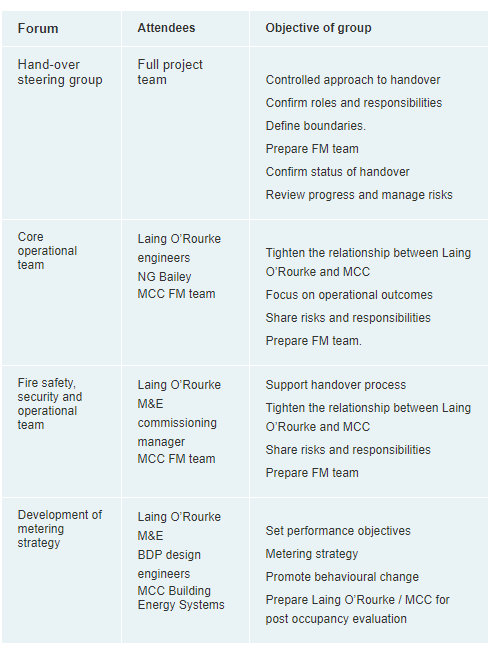 This gave the MCC team day-to-day access to BIM expertise from Ryder, NG Bailey and Laing O’Rourke colleagues with whom they could share knowledge, ideas and aspirations. Strong links were also formed with the University of Salford, the University of Liverpool and the BIM Academy at Northumbria University, which offered guidance and supported the project team in making informed decisions. "Manchester Town Hall Complex is a flagship project in the UK, and even internationally, highlighting the importance of BIM protocols and processes and especially the importance of the attitude of the project team. Without understating the achieved benefits and significant technical merits of the project, we think that this is an exemplary case of the importance of cultural change in successful BIM implementation.” Arto Kiviniemi, Professor of Architecture at the University of Liverpool. The government BIM Task Group and its chairman Mark Bew were very hands on. The team attended key BIM workshops with the supply chain, MCC operational teams and ICT vendors. Cabinet Office attendance really helped to drive the agenda and gave credibility and confidence to the project vision. Laing O’Rourke used BIM to communicate the site establishment and boundary proposals to local businesses, neighbours, highways and planning colleagues, and this clarity reduced the queries and concerns that would normally be expected on such a large city centre site. BIM was also used as a site induction tool, which enhanced the clarity and understanding of the site access routes and site logistics and safety requirements. Visual method statements were developed for complex site works using BIM to breakdown the works into individual activities, which enhanced the clarity for the site teams. In turn this served to promote a ‘right first time’ approach, workmanship was improved and site safety was enhanced by the clarity of information. For its part, Ryder used BIM to communicate complex design solutions (e.g vertical circulation core and the removal of the existing four-storey book stacks in central library) to key stakeholders ranging from the project team, councillors, librarians, planning officers through to English Heritage colleagues, enabling them to make better informed decisions. The design and installation of the central library’s ground floor sculptured troughed ceiling required a supplier that could use BIM data to manufacture the product. A local SME gained a commercial advantage over competitors because of access to BIM technologies and expertise in coordinating the very complex services, structure and ceiling finishes. A saving of £250,000 was achieved on the vertical circulation core, 10% of the value.The coordination of complex services across the town hall extension and central library saved time and money due to right-first-time solutions and a reduced number of changes. Time was also saved in consultation with stakeholders and especially English Heritage. NG Bailey, the project’s mechanical and electrical subcontractor, has used BIM for a number of years to enhance its ability to deliver right first time solutions. On the Town Hall complex its digital engineers used great finesse and skill to route very complex services throughout both buildings, to avoid redesigns and changes on site (clash detection). Initially, MCC was unclear on how it needed the M&E AIM data to be presented, so several workshops were held with Harvey and the estate management software vendor C-Pad). The team was keen to adopt the principles of construction operation building information (COBie) as promoted by the BIM Task Group. However, the naming conventions and scale of detail has been altered to suit the needs of the MCC operational team. While NG Bailey’s BIM model was very impressive it was not data rich. The two parties worked comprehensively together to ensure that the M&E asset information was eventually uploaded into the BIM model in accordance with the MCC operational team requirements. This was done retrospectively, which proved to be very time consuming. MCC is keen to use this learning to help develop BIM employer information requirements, which will clearly articulate MCC BIM AIM requirements at the outset of works. To ensure that value is achieved in the operational life cycle of the town hall complex transformation scheme, MCC and Laing O’Rourke signed up to Government Soft Landings policy, outlining their expectations and requirements. A number of forums were established to allow the active involvement of key players across the project at a number of levels, to ensure that the desired outcome of a ‘golden thread’ between design, construction and operation is achieved. The project team commitment to achieving environmental performance has required a considerable commitment from all parties. A combined cooling heating and power system and sub-systems. The key energy savings group to achieve the target carbon / energy savings. Learning transfer and the ethos of driving continuous improvements to MCC’s operational team. Appointment of a building services engineer via FM service provider MWL to maintain the complex primary M&E systems and primary plant and the BS 5454 conditioned archive spaces. Retaining an experienced building services lead engineer on site up to Christmas 2014 to assist the MCC team fine tune and bed in the primary plant. Lateral Technologies has a proven track record of delivering energy savings working in retail, and MCC has appointed them to work with the above key players at an intellectual level. This will provide leadership and guidance to the collaborative team and assist them in achieving the target carbon / energy savings. A collaborative team of on site engineers. Achieve the reduced carbon / energy in use targets (target date March 2015). Roll out this approach across the MCC estate. The dynamic building management system dashboard monitors the energy in use (heat, lighting and power) at half-hour intervals, and this is linked to a dynamic spreadsheet that converts this energy in use to actual energy costs. This has proven to be an effective tool that has helped to focus the minds of the team of engineers. Overall, BIM has been an essential tool in delivering the Town Hall Complex Transformation Programme successfully, and has the capacity to assist the City to manage the complex for years to come. Operational data will provide a rich database of information which will enable the City to continue to benefit from the investment, benefits which will continue to enhance performance and generate efficiency savings in the long term. These benefits are unlikely to have been available without the investment in BIM technologies.